How different is a diamond facial different from a regular or a gold facial? That is one question that bugged me every time I walked into a parlor. But, I have my answer now. Diamonds are a girl’s best friend, and clearly, they help us in more ways than one. You may think a diamond facial kit would cost an arm and a leg, but I’m happy to report that there are some brands that offer them at a fraction of the price. Whether you prefer all-natural, organic, handmade, professional, or cruelty-free products, we have it all. 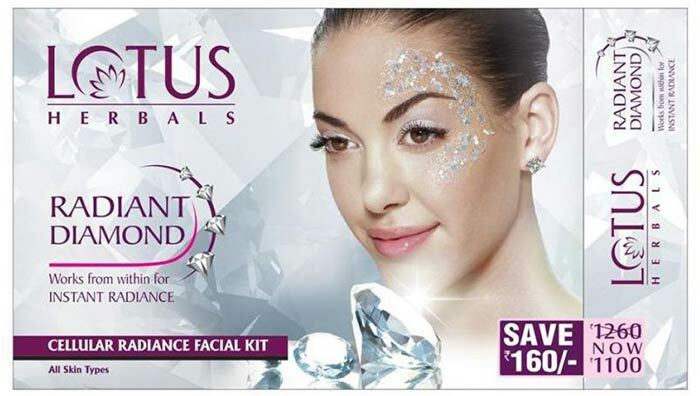 We have rounded up the best from diamond facial kits available on the market right now. Check them out! 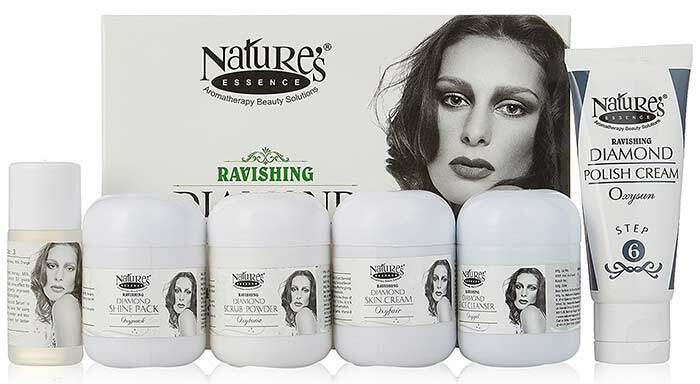 This diamond facial kit from Nature’s Essence is effective and potent. It cleans your skin from deep within. The kit contains six products, clear instructions, and an easy-to-use set-up. The Scrub Powder is a blend of serum and powder. It contains zircon ash and walnut grains that gently scrape off the top layer of your skin. The other products in it rehydrate and cleanse your skin and stimulate the regeneration of new skin cells. Astaberry Diamond Facial Kit contains active and potent ingredients like Heera Bhasm, jojoba oil, carrot oil, and bearberry extracts that impart glow and radiance to your skin. The effect of this facial lasts long and helps reduce dark spots, pigmentation, fine lines, and uneven skin tone. This facial kit comes with a cleanser, scrub, gel, moisturizer, mask, and serum to give you a complete facial treatment. 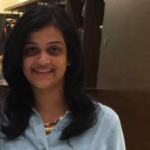 VLCC is the best when it comes to cosmetics in India. Its diamond facial is condensed to leave you with a spa-like experience without the over-the-top price tag. This formula contains diamond bhasma that battles premature aging, polishes your skin, and leaves you with a radiant glow. The first step is a Confrey flower extracts toner that heals and protects your skin from bacteria, promotes new skin generation, and reduces the size of your pores. This is followed by a diamond dust and jojoba oil-based scrub that cleanses and nourishes your hair. Then comes the olive oil lotion that rounds off this perfect diamond facial ritual. 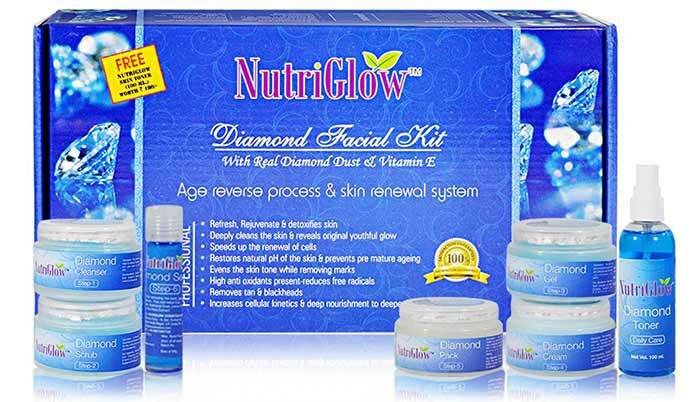 Nutriglow Diamond Facial Kit is an elaborate 7-step procedure that involves cleansing, exfoliating, toning, and brightening your skin. This antioxidant-rich kit helps in restoring your skin’s youthful radiance by preventing premature aging and repairing the damage caused by free radicals. It is suitable for all skin types. 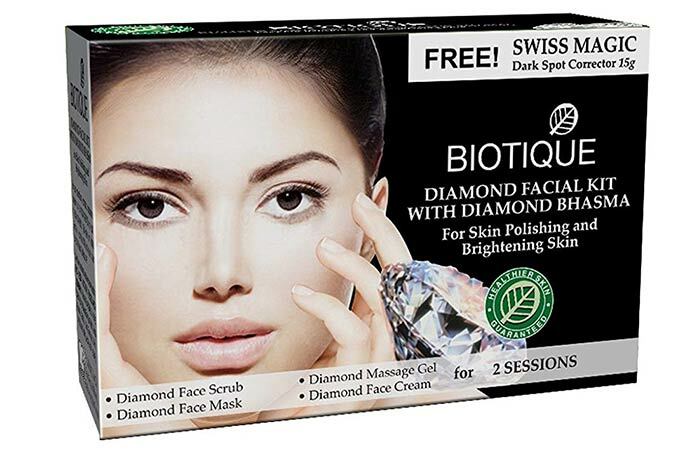 Biotique Diamond Facial Kit works best for spot corrections. It reduces dark spots, pigmentation, and discoloration to even out your skin tone. The diamond dust in this facial act as an exfoliant, while the massage gel, face mask, and cream nourish your skin to make it soft and supple. Effects last only a couple of days. Lotus Herbals Radiant Diamond Cellular Radiance Facial Kit combats the signs of premature aging, leaving you with satin-soft skin. It reduces dark spots, wrinkles, and fine lines and unclogs pores. It contains amber cinnamon and diamond dust that work wonders on your skin. Get some sleep after doing this facial and wake up to a diamond-like glow. Effect does not last long. Oxyglow is a big name in the professional skin care industry. 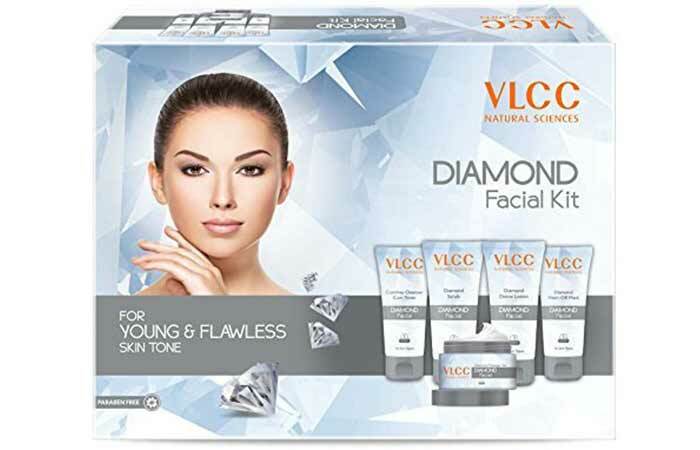 Their best-selling diamond facial kit contains diamond powder that is a skin lightening agent. It also reduces hyperpigmentation, blemishes, and dark spots. The creams in this kit are light, spread quickly, provide intense hydration, and leave you with visibly improved skin. 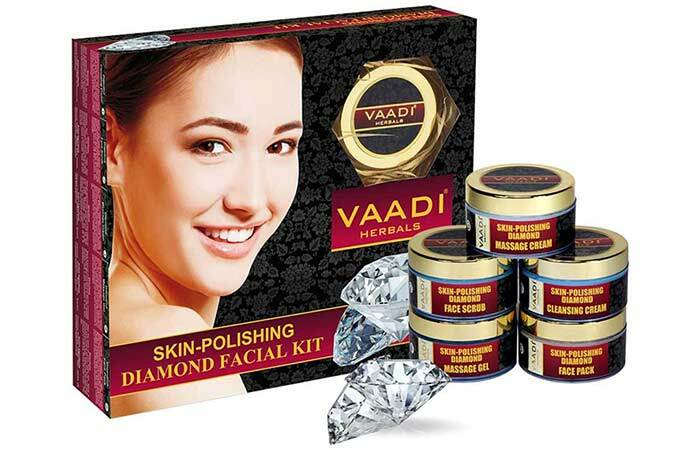 Vaadi Herbals Skin-Polishing Diamond Facial Kit is a unique blend of diamond ash and essential oils that give your skin a polished finish. It scrapes off the dead skin cells and impurities to unclog your pores and brighten your skin. It also contains fortifying agents like wheat germ oil and almond oil that have a long-lasting effect. Might not have the same visible effects on all skin types. 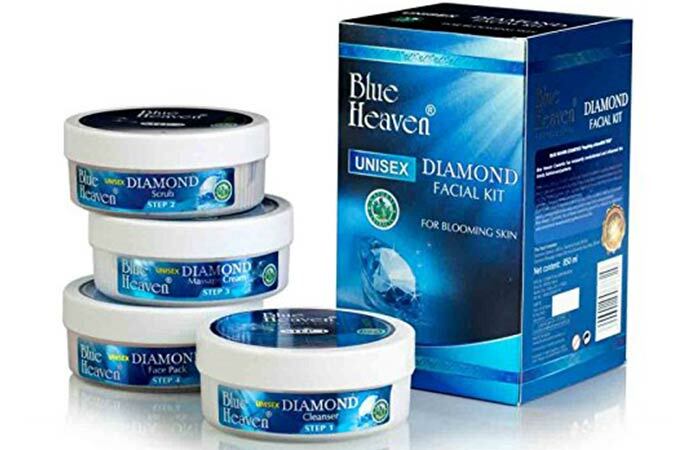 Blue Heaven Diamond Facial Kit consists of five elaborate but essential steps. The cleanser removes all the grime, makeup, oil, and dead skin cells that are built up on your skin. The vitamin-enriched massage cream brightens your face, while the mask tightens your skin and restores moisture balance. 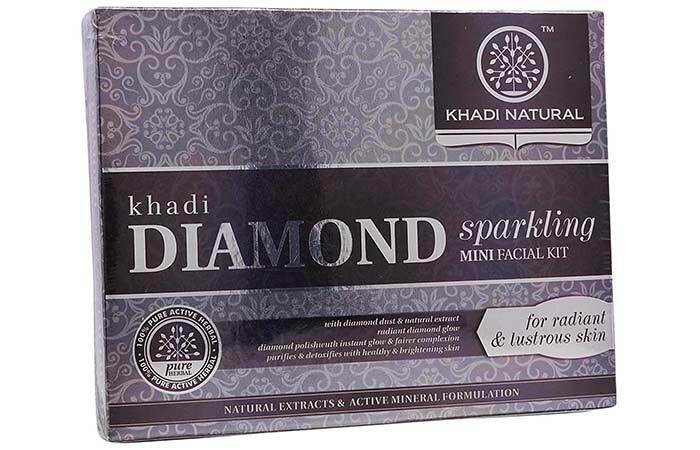 Khadi Natural Diamond Sparkling Mini Facial Kit is made with diamond dust, organic plant extracts, and other natural ingredients. It acts as a topical detox for your skin to restore its youthful radiance. Following a skin care routine every day is essential. But, you also need to do some procedures every few weeks for regular maintenance. A diamond facial is a great way to do just that. 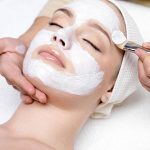 It’s okay if you do not have the time and money to invest in a salon service because you can do a diamond facial in the comfort of your home at a fraction of the cost. 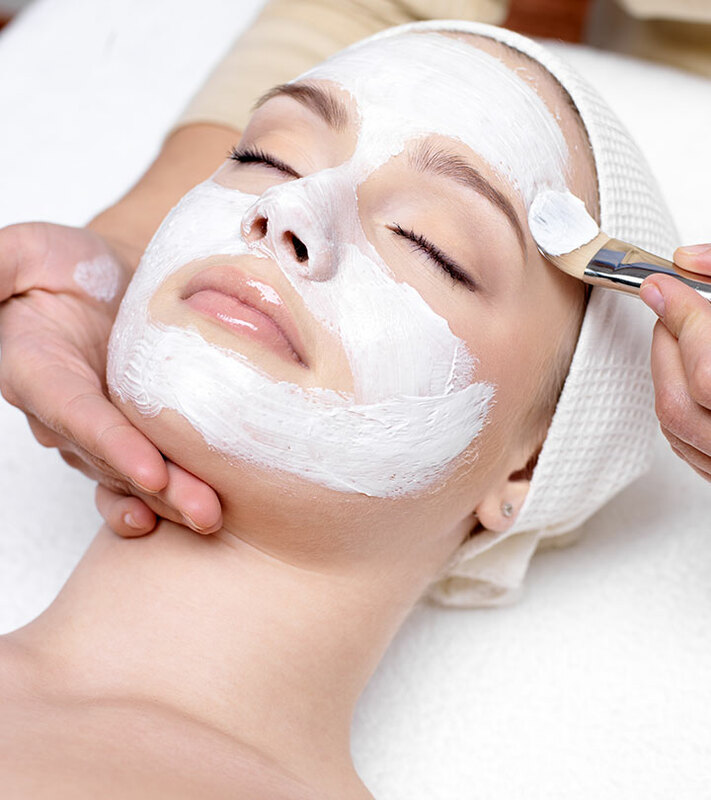 How often do you get a facial done? Do you prefer getting them at a salon? Let us know by dropping a message in the comments section below.